Any drug for therapeutic purposes has ingredients classified in two categories – active and inactive. The active ingredient contains substances or chemicals that are biologically active. An active ingredient is delivered by a ‘carrier’, known as the inactive ingredient, or excipient. In natural drugs (made from herbs) the active ingredient is the ‘active’. In pharmaceutically manufactured drugs, it is an APIs (Active Pharmaceutical Ingredient). For example, acetaminophen in syrup for pain relief or fever reduction, the acetaminophen is the API and the syrup is the excipient. A medication can contain more than one API. According to Therapeutic Goods Administration (TGA) an API is the ‘therapeutical active component in the final formulation of therapeutic goods’. The Food and Drug Administration (FDA) state that the purpose of API content in a drug is “to furnish pharmacological activity or other direct effect in the diagnosis, cure, mitigation, treatment, or prevention of disease, or to affect the structure or any function of the body of humans or other animals”. 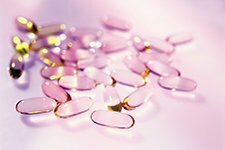 As the main component in human or veterinary drugs, an API must meet quality and safety controls. Pharmaceutical manufacturers can source APIs from overseas suppliers for production efficiency or profitability and Australian regulations must be met. As a reputable supplier of international raw chemical materials, Trans Chem are committed to only sourcing high quality APIs from reputable worldwide manufacturers. Trans Chem has an extensive network of overseas suppliers, some exclusively, and attend all International Trade shows constantly sourcing new and innovative products and suppliers, so if you can’t find the raw material you need in our Product Library, contact us and we WILL source that product for you. Aside from APIs, Trans Chem actively sources Amino Acids & Vitamins, Chelates & Minerals, Cosmetics & Personal care ingredients, Excipients, Food & Beverage ingredients, Stockfeed & Animal Nutrition, Nutraceutical powders & fluids, Veterinary Pharmaceuticals & Animal Health, Herbal Extracts and other key ingredients.